Choose from Ø1/2" or Ø1"
Thorlabs' Ø1/2" and Ø1" Germanium (Ge) Plano-Convex Lenses are available with a broadband AR coating for the 7-12 μm spectral range deposited on both surfaces. This coating greatly reduces the high surface reflectivity of the substrate, yielding an average transmission in excess of 94% over the entire AR coating range. See the Graphs tab for detailed information. where R is the radius of curvature of the convex portion of the lens and n is the index of refraction. 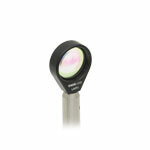 To minimize the introduction of spherical aberration, a collimated light source should be incident on the curved surface of the lens when being focused and a point light source should be incident on the planar surface when being collimated. 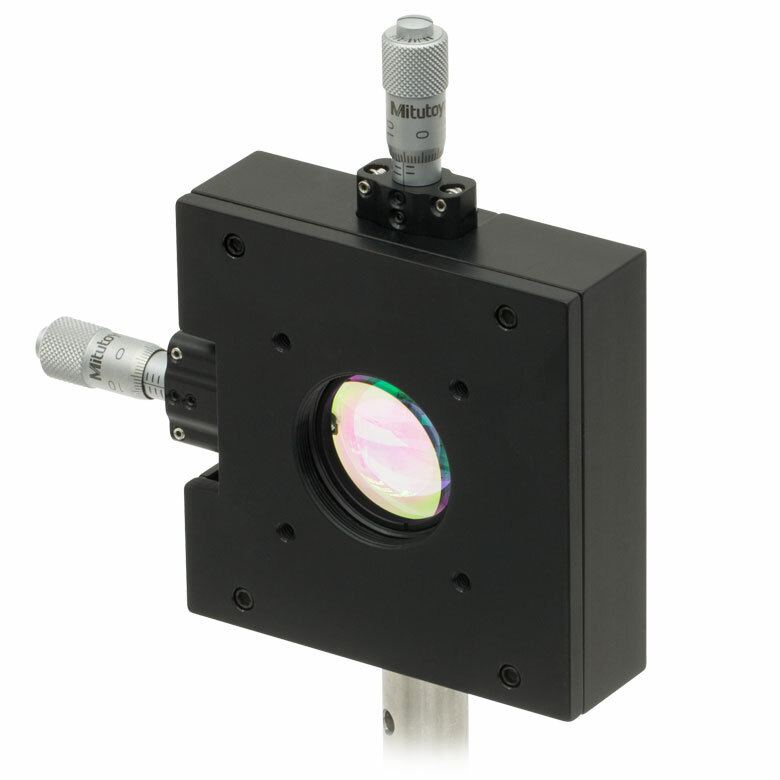 Due to its broad transmission range (2 - 16 µm) and opacity in the visible portion of the spectrum, germanium is well suited for IR laser applications. It is also inert to air, water, alkalis, and acids (except nitric acid). Germanium's transmission properties are highly temperature sensitive; in fact, the absorption becomes so large that germanium is nearly opaque at 100 °C and completely non-transmissive at 200 °C. For other MIR lenses and spherical singlets, please refer to the Selection Guide below. When handling optics, one should always wear gloves. This is especially true when working with germanium, as dust from the material is hazardous. For your safety, please follow all proper precautions, including wearing gloves when handling these lenses and thoroughly washing your hands afterward. Shown above is a theoretical graph of the percent reflectance of the AR coating as a function of wavelength. The average reflectance in the 7 - 12 μm range is <1.0%. 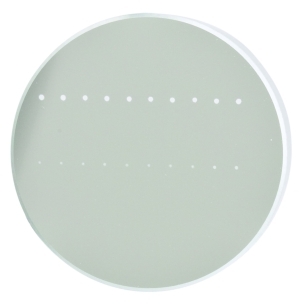 The blue shading indicates the recommended usage range for these Ge plano-convex lenses. Shown above is a graph of the measured transmission of a 5 mm thick AR-coated germanium substrate. 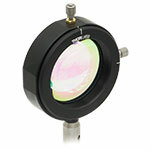 The blue-shaded region denotes the 7 - 12 μm spectral range where we suggest using these Ge plano-convex lenses. For this wavelength range, the measured transmission is in excess of 90%. For example, when light is incident normal to the boundary between air (ni = 1.0) and crown glass (nt = 1.52), the percentage of light reflected back at the interface is approximately 4% . The specifications to the right are measured data for Thorlabs' E3-coated germanium lenses. 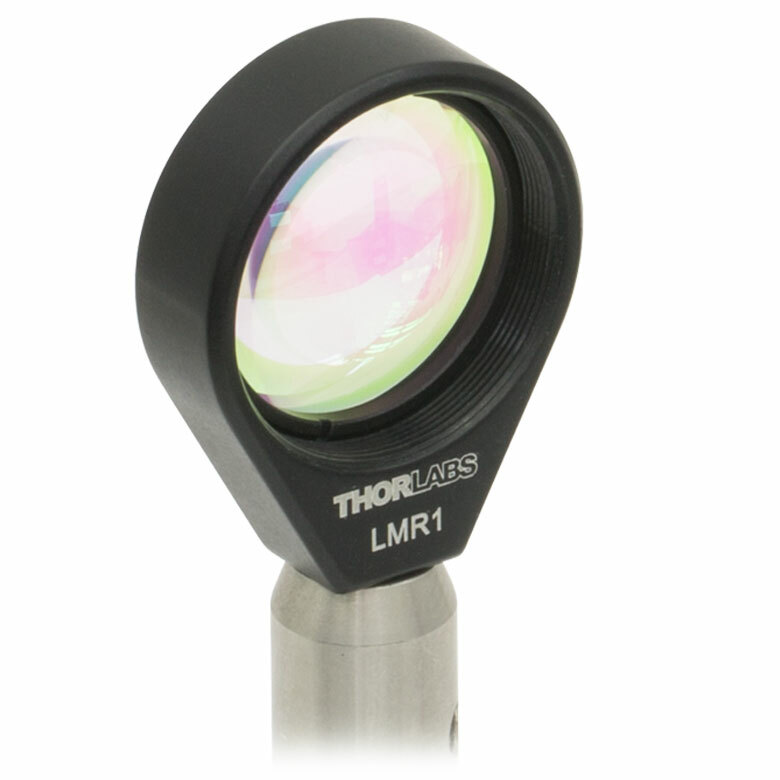 Damage threshold specifications are constant for all Thorlabs' E3-coated, germanium lenses, regardless of the size or focal length of the lens. Response from Tim at Thorlabs: Thank you for your inquiry. We will contact you directly to discuss your requirements. Thank you for your continued interest in this product line. In response to your comments, we have added the center thickness of the optic to the specs tab. You'll find the reflectivity of the AR coating under the graphs tab. 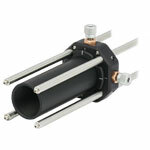 In addition, the expected transmission for these optics (i.e. Ge + AR coating) is given at several wavelengths under the graphs tab. We have also added an "Index of Refraction" tab, which gives the index of refraction of Ge at several wavelengths and the requested Fresnel equations. We hope that you feel like these additions make the page more informative. So i need the center thickness of the optic to calculate the transmission for a particular lens, could you consider providing this data in a table on the Specs tab, and perhaps even consider giving the expected transmission for each optic at a couple of points across your specified operating wavelength range. It would also be nice to have the AR coating noted on the Specs tab, have to look carefully to catch the fact that all these optics come with a coating. On the Graphs tab I would expect to find a plot of the reflectivity of the AR coated optic also across the specified operating wavelength range. Additionally, having the index as a function of wavelength would also be nice, along with the Fresnel reflection formula that would allow me to compare uncoated to coated performance if the AR coating drops off at the edges of the range. BTW... while i have heard of a "moderately abrasion resistant AR coating" i have never heard the term "moderately abrasive" to describe an AR coating, does this mean the resultant AR coating is abrasive like sandpaper, seriously. I don't have much experience in the Mid-IR, please help me and all none Mid-IR educated users understand this specification. Thank you for your feedback concerning this page. Indeed, such comments are very valuable for improving our web site. In response to gany, for the 3-5 micron range, the % transmission is just shy of 50%(see the transmission plot under the Graphs Tab) for the 3-5 micron range when using a 2 mm thick piece of Ge. 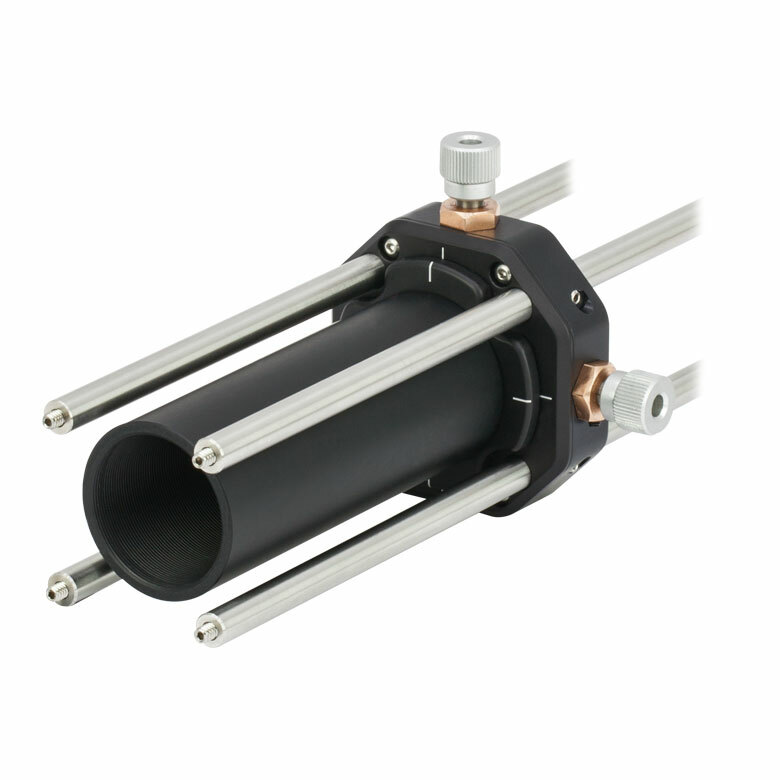 In regards to acable's additional comments/questions, the BBAR coating provides 97% transmission for the 8-12micron range. Also, "moderately abrasive" is a typical description used for AR coatings on IR optics. We hope you find this new information useful. Question Related to Previous One: The catalog page that is under the "Drawings & Documents" shows a plot of the % Transmission in the 1.0um to 25um window, in the 3 to 5um window the transmission is approximately 50%. Is this per millimeter of thickness, or is this total transmission including the AR coating. The catalog notes a BBAR with 97%, but 97% of what, typically for an AR coating the residual reflection is given, does the IR segment of the photonics market not follow the same convention. Is the catalog presentation meant to say that the 50% Transmission is what is expected from the bulk material, and the expected high Fresnel reflection is reduced by 97% to yield an effective transmission of 0.97 times 0.50, perhaps 0.97 times 0.97 times 0.50 to factor in the two surfaces. Please be more precise. Also note "Abrasion" is probably not the word you meant to use to describe the AR coating on the catalog page. 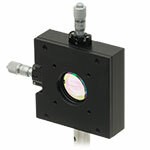 Hello I want to buy a Germanium lens for mid-IR light at 3-5um. I just want to know if this product suit for me. Can you tell me the transmission(%) for this product at 3-5um? Thanks!